TVs look great above your fireplace and mantel, but they're difficult to watch when mounted so high. With the Sound World Firelace Mount, the TV can conveniently be pulled down from the wall to eye-level to prevent neck pain. The TV can also be tilted and swiveled conveniently, for the most comfortable TV viewing experience. 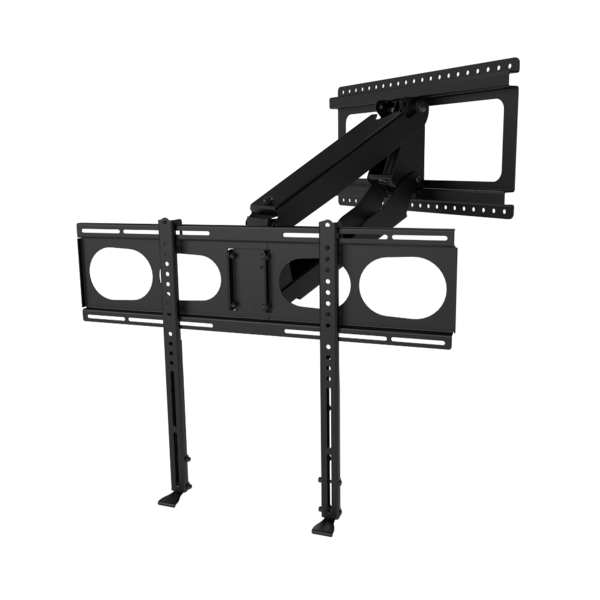 Capable of mounting any television with a VESA mounting pattern of 200 x 200 to 600 x 400, this mount is ideal for TVs ranging from 40" to 63", weighing up to 70.5 lbs. Elegant TV Mounting: Above the fireplace is often the perfect place to mount a TV, but it's a pain in the neck to watch it there. 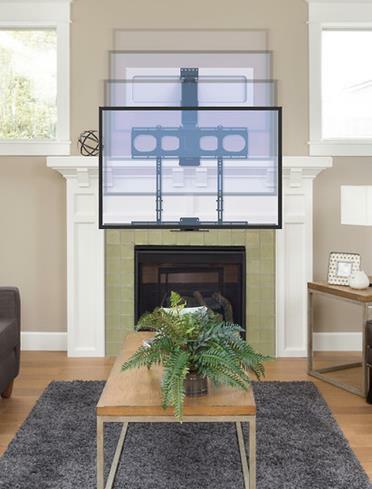 By letting you pull the TV down to a comfortable height when watching it, this mount lets you put the TV flat above the mantel where it enhances your decor. Comfortable Eye-Level View: When you want to watch TV, the spring-assisted mount lets you effortlessly pull the TV forward and down to a comfortable viewing position, where you can sit on the sofa without craning your neck upward. When you're not watching, the mount returns the TV to its beautiful position flat above the fireplace. ETL Certified Safety You Can Trust: On average, Mantel mount sells a new wall mount every minute of every day! Certified by ETL testing labs to satisfy UL standards, this wall mount has been strength tested to ensure it is safe for both your equipment and your family. That TV mounted above your fireplace may look stunning. But over time, looking up to watch it can literally be a pain in the neck,. Plus, viewing it from an angle means you might not be seeing the best possible picture quality. Enter the MantelMount MM540. 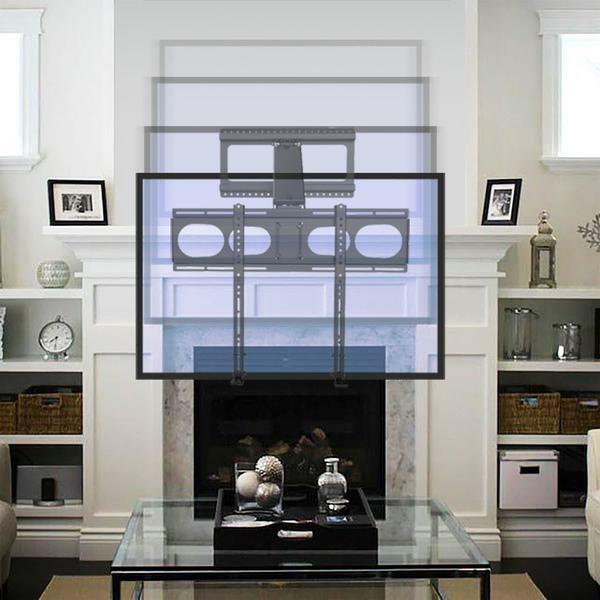 It lets you easily pull your TV out and down over the mantel when you want to watch. This clever mount positions your TV at eye level, so you can watch in comfort and enjoy all the contrast and detail your TV can produce. When you're done, just lift it up and back to the wall. A sophisticated counterbalance design and powerful hydraulics let just about anyone move the TV easily. Vertical stops prevent the mount from extending too far down and damaging your mantel. Side stops ekeep your TV from swiveling into your mantel and getting damaged.